Built by manta in 2001 fitted with twin C7 caterpillar 500 hp engines, Low hours on both with one new fitted recently. She is driven by a levi surface drive prop system, and cruises at 22 knots with a top speed of 28 knots. Out of water and antifouled in October 2016, regularly serviced and well maintained by current owners. 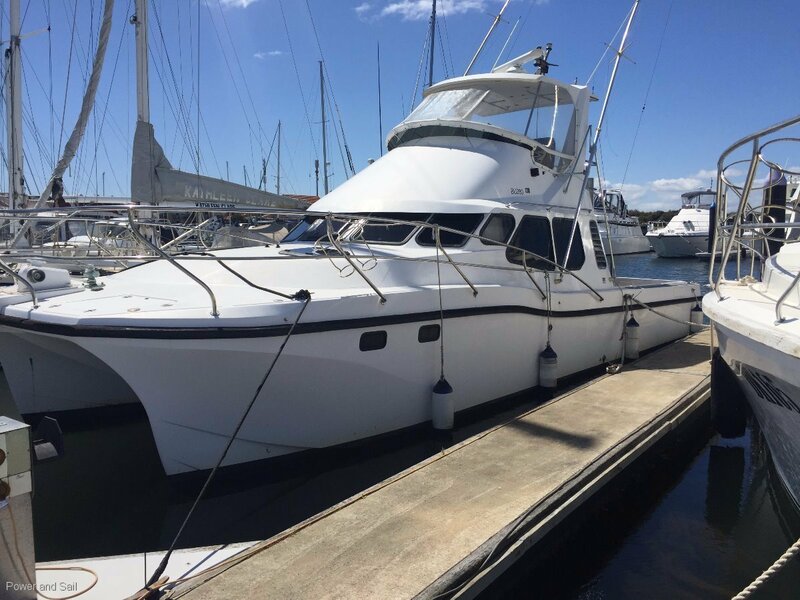 Equipped with a new 5kva genset, Raymarine navigation electronics it boasts loads of character and can accommodate a family in two double cabins, a galley with electric cooktop, 2 fridge's, microwave and ice maker.